Perhaps your family is struggling in the midst of a divorce and child custody-related situation. Or, maybe a loved one has been wronged by someone else in the family, and you’re being blamed for it. Regardless, if you’re dealing with a lack of closure or agreement on certain issues, family counselling can be a highly effective, safe means of addressing the problems at hand. We understand that it can feel uncomfortable opening up to a stranger – especially with family members you may not trust – but know that we approach the situation from an unbiased perspective. Mediation is a structured process in which a neutral third party assists the disputants in reaching a negotiated settlement of their differences. The mediator encourages open discussion of the issues and uses a variety of skills and techniques. By providing an open forum – within which the disputants can construct their own agreement – the mediation is carefully monitored and controlled by the mediator to ensure tensions don’t rise. Additionally, it is the aim that participants work together to identify and address the issues at hand while controlling their own emotions as best as possible. Mediation is a voluntary process that results in a signed agreement, which defines the future behaviour of the parties involved. The mediator is not empowered to render a decision, and most parties in conflict cannot afford protracted litigation. Therefore, mediation is a less-costly and time-limited means of intervention. Situations where mediation may come in handy include child custody agreements and separations, where clear terms of conduct need to be outlined. Lawyers rarely have any training at all in the complex psychological and family issues involved at this time of crisis and transition for the parties involved. Therefore, it is highly recommended that you work with an experienced therapist when seeking family counselling. 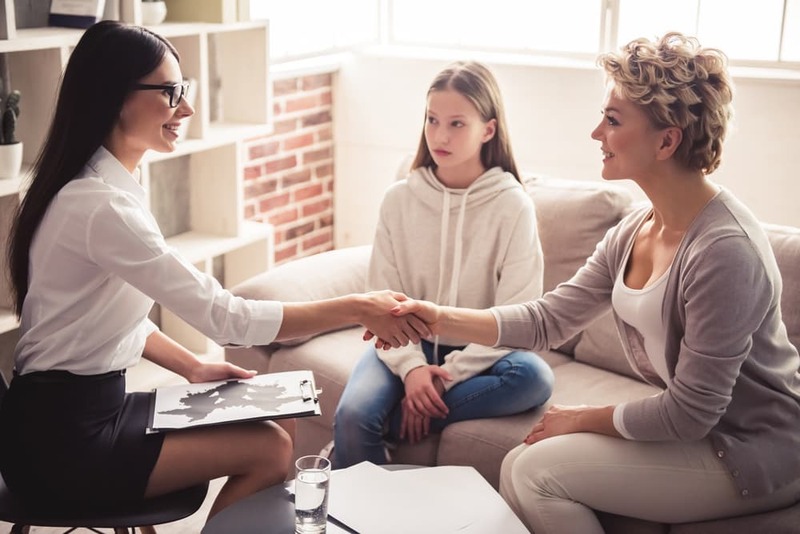 This is largely because the best form of family mediation is a comprehensive process that addresses psychological, family-related and financial matters simultaneously, which demands the expertise of a therapist. They also act as a neutral third party without having to involve multiple lawyers, making it easier to control stress and tensions while getting to the root of the issue from an unbiased perspective. Who Benefits from Family Counselling? Family counselling sessions and subsequent mediation with a therapist can provide individuals with the mutual understanding and clarity needed to take an important step forward in addressing the issues troubling them. It is most often used as a means of coping with separation and divorce. In addition, however, this form of therapy is also commonly implemented in other family conflicts. Dealing with intergenerational issues, teenage children acting out, stepfamily tensions, sibling rivalries, and/or dramas stemming from miscommunication are all fitting examples. In short, every family member directly involved in the situation at hand or affected by it will benefit from a friendly, open and supportive environment where they can share their concerns and work with other relations towards an amicable outcome. First off, the entire extended family can be considered and involved with the mediation process. Parties may also set the timing of negotiations to accommodate for special needs, availability of family members, budgetary constraints, and to respect the feelings of others. After all, this can be a taxing emotional process, and there needs to be a willingness to understand that everyone has limits. Working within those limits is essential to making progress as a family. With respect given to time (most problems can’t be solved in a single session) and attention given to emotions, your family will gradually move towards the best outcome, potentially where everyone is in mutual understanding and agreement. A relaxed, quiet and more therapeutic environment encourages clients to speak more freely about what they want as well as how they feel about the matter at hand. There is plenty of time for the mediator to explain everything to the group when they are overwhelmed by the process. If the mediation takes place in a family home, then children are able to observe how grown-ups can have a misunderstanding and work together towards a peaceful, appropriate outcome. This alone makes professional family counselling far more suitable of a solution than costlier, more exhausting litigation that doesn’t respect emotions. Our role in family counselling, at first, is simply to observe the interactions between everyone involved. We make it a point to ensure everyone’s emotional stability and safety. Afterwards, we move forward with helping you identify and address what the real problems are. The aim is for disputants to come to an agreement on the matter at hand in a welcoming, open-forum environment that is carefully monitored to ensure everyone’s well-being. We also provide emotional support and are happy to help you address other issues – such as a phobia or traumatic life experience – that could be impeding upon progress with your family’s issue. Reach out to us today to work together towards an appropriate solution in a quiet, therapeutic and supportive setting. We would be happy to help.